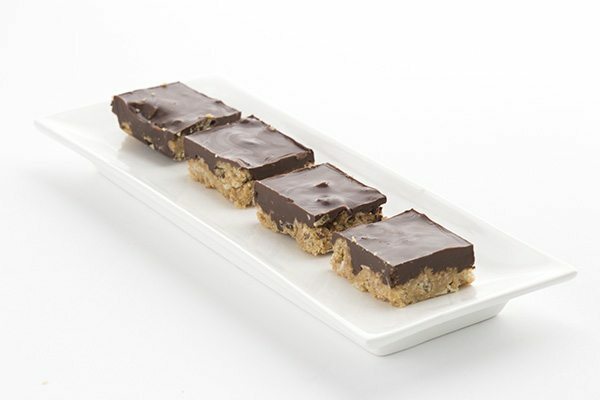 Deliciously crispy low carb peanut butter bars with a rich chocolate topping. 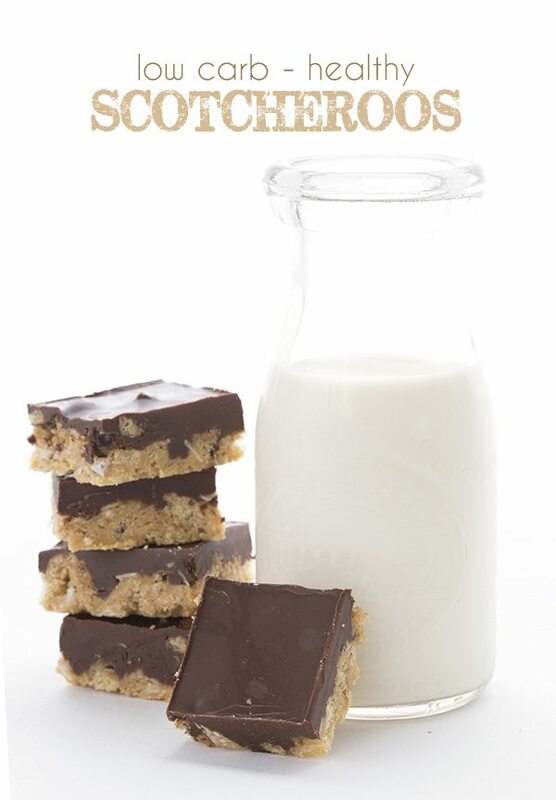 These healthy scotcheroos are a fun and tasty snack. Forgive me, people. I am really not normally one for cutesie names for recipes; typically, I stick with descriptive titles that tell you exactly what you’re getting. But sometimes the choice is not mine. Sometimes, I am creating a low carb dessert that is modelled after a recipe that already exists, and I have to just go with it. I have to give a nod to the aforementioned cutely named classic, so that people know I’ve created a healthy keto version. Really, if I was to go with my gut here, these would be called something like Low Carb Peanut Butter Caramel Crunch Bars. Or maybe Chocolate Peanut Butter Caramel Crunch Bars, although that’s a bit wordy for me. But it certainly is descriptive. If I could find a way to work in pork rinds without making it sound like a tongue twister, I’d do that too. Because yep, this deliciously crunchy treat is made with crushed pork rinds. Does that wig you out? Some of you diehard low carbers won’t be in the least put off by that, but some newer folks might be a bit freaked out. I admit that there was a time when the idea of pork rinds in my dessert would have given me the heebie jeebies. Because I used to associate pork rind consumption with all sorts of unhealthy dietary practices. And let’s face it, some pork rinds are pretty darn junky, fried in some unhealthy oils. But I’ve come to understand that REAL chicharrones should basically be cooked right in their own fat. They are making quite a comeback and I’ve had some glorious ones at restaurants. I’ve even made my own homemade pork rinds…delicious but a lot of work and your house smells like fried food for days afterward. And now there are some really great, truly healthy pork rinds on the market. They are pricier but worth it, in my opinion. I’ve tried a couple of brands and I definitely have my favourites. Bacon’s Heir has some great flavours but for the life of me, I can’t figure out why they cook them in olive oil and not in the pork fat itself. I like the salt and pepper pork rinds from Epic but they are salty enough to sort of cut up my mouth if I eat more than a small amount at a time. I love the Classic Chile Salt pork rinds from 4505 Meats best as they are lighter and fluffier, but I don’t like their BBQ or Jalapeño Cheddar flavours. I also tried these Galactic Hog Skins because they were less expensive but I really did not like them much. Not light and crisp enough and the flavours all had an artificial taste to me. In our little low carb world, things like Scotcheroos are typically off limits because they are made with crispy rice. But I’d been eyeing them for sometime, wondering if there was a way. Because peanut butter, caramel and chocolate, with something crispy in it? Heck yeah! So I decided to just go for it and crush up some pork rinds and see how it tasted. I ended up using the Epic salt and pepper flavour because I can easily get it at my local Whole Foods and New Seasons. I was a little worried the pepper flavour would come through but I knew that the saltiness would be perfect for a recipe like this. And yes, you did occasionally get a little fleck of pepper but it was kind of awesome. The end result was a seriously crispy, seriously delicious treat that was hard to resist. Kids loved them too, and have been begging me to make them again! Line an 8x8 inch baking pan with parchment paper or waxed paper, leaving an overhang for easy removal. In a large saucepan over medium low heat, combine the peanut butter, butter, and sweetener. Stir until melted and smooth, then stir in the caramel extract. Add the crushed pork rinds and flaked coconut and stir to coat well, then press this mixture firmly into the prepared baking pan. Chill until firm, about 1 hour. In a heatproof bowl set over a pan of barely simmering water, melt the chocolate and coconut oil together. Spread over the chilled bars and let set in the fridge, about 20 minutes. Lift the bars out by the parchment paper edges and cut into squares with a large, sharp knife. These are rich so cut into 20 to 25 squares. I can’t get pork rinds where I live (in stores or through the internet). Any way I can still makes these? They look delicious! I can’t think of anything else that has the right crispness for this recipe without raising the carb count. Wish I could! You can certainly try. It won’t be all that much like true scotcheroos. I actually just came back to this recipe because a friend just brought to my attention that pork rinds have arrived to our part of the world!!! Can’t wait to try this recipe! I don’t have the extract. I do have toffee stevia and granular sweetner. Can you recommend amounts of them. They are also called ‘bacon puffs’. Hi Carolyn, Another keeper! I print out your recipes and find that recently the macros aren’t included. Of course I write them in after, but can you adjust? Thanks so much for all you do!! I will ask my recipe plug in developers about that! I was JUST telling my husband who is also low carb that I wished there were a low carb version of rice krispie treats. Pork rinds! Perfect! Thank you thank you thank you! We have a coconut allergy, do you think slighlty crushed sliced almonds would work as a sub? I love your recipes and it’s like you are a mindreader!! Yes, that should be fine for the flaked coconut. I really want to try these. Has anyone tried them? Would love to hear critiques. I loved the texture, though they were a bit sweet for me. I do plan to make again. The texture was amazing! we were disappointed… the pork rinds had a greasy texture and strange aftertaste, I used lilly’s dark choice chips and they were bitter. the whole combo didn’t work for us. Is this almost like PB rice krispy treats? Carolyn, I’ve tried a couple of different times to use pork rinds to make rice krispie treats. There are plenty of LC marshmallow recipes out there. They’ve just never turned out quite right. The LC marshmallows seemed too flimsy. Was even thinking about Walden Farms marshmallow topping, but haven’t tried that yet. Have you….could you….experiment for us? Thanks for all your inspirations! It’s been on my to-do list. I won’t go with Walden Farms, though. So much junky stuff in their products. But let me get thinking about it. Which LC marshmallow recipes have you already tried? 2 variations of a gelatin/egg white recipe. It’s been a couple of years. Agree on Walden Farms. No apparent food value….so many weird ingredients. Oh, I think once I used the marshmallows with the pork rinds before letting them set up. The other time I used them like real marshmallows and added butter, etc. Neither time was memorable, but I am so sure it can be done that I at least tried a couple of times, haha. Good luck! I haven’t experimented with LC marshmallows yet (keep meaning to), but I can tell you that any egg white recipe for regular ‘shmallows is *always* flimsy. They make a foamier product. You have to use just gelatin, sweetener, flavor, and dusting (coco flour?). Also, just a bit of feedback on this recipe: I liked it! More so the next day, after everything flavor-blended more. I did have to use *two* three-ounce bags of rinds to make four cups, because I used the denser, pre-made kind. Thanks for your work on this, Carolyn! YUK! I thought, oh these look great. Then I saw the pork rinds….yikes. I’m sure many will try this, but I don’t eat pork or beef, not much chicken and I think most fresh, wild fish has plastic in it. Bummer. Oh well, you offer so many other great recipes and we just moved into our new home and finally, after 9 months of living in our friend’s basement apartment, have a full kitchen! Thanks! I think ‘yuck’ is unfair since you did not make them or try them. We all see recipes that aren’t for our taste and we just pass them by to the next one. Carolyn’s recipes are by far the most consistently delicious low carb Inspirations I have come across. I’m very grateful Carolyn! I am a little skeptical about the pork rinds. I bought them once to add to a “breading” recipe and had to throw it out before I event breaded the meat because the smell was disgusting. Are there any other alternatives to pork rinds??? Please I beg you! Thanks for many great recipes! I don’t like the smell of pork rinds either, but believe me that they work in this recipe. No alternatives. If you use chopped nuts, they will be delicious but not crispy and they will have a much higher carb count. I was extremely skeptical, too. I have made a few savory recipes with pork rinds, and they are just too greasy for me. Flavor-wise, the rinds were not apparent in this recipe the next day; they had simply absorbed the other flavors. They do impart a bit of a greasy mouthfeel, but nothing that made me shudder (the way that pork rind “breading” does). Give it a try, see if they work for you! Agreed, nothing like fresh chicharonnes! But the good ones from more “artisan” sources like Epic and 4505 Meats are pretty darn good in a pinch. Cecily, where in Hawaii? I will be on Oahu soon and if you are there, too, I would love to know where this street fair is located so I can try some fresh pork rinds. Thanks! Kim, I’m on Oahu! If you need organic produce and beef and also bulk azure and frontier wholesale co-op look into the Hawaii organic co-op on fb! They do group buys in almost everything! This recipe looks good to me! I had my qualms about pork rinds at first for breading and such but found they were better than expected. Otherwise, I have seen recipes using whey protein “crispies” or “puffs” used for crunch in this type of recipe. Yummy! You can’t taste the pork rinds at all; just the butterscotch flavor–genius! So easy to make, too! Yummy! You can’t taste the pork rinds at all! I would suggest finely grinding these as some pieces of pork rinds are hard as rocks; I almost broke my tooth! They are light and crispy and so easy to make! Thank you! Another note: I have made these many times with great success! However; the other evening I inadvertently poured the crushed rinds into the pan of hot peanut butter mixture and continued to simmer for a minute or two. DO NOT DO THAT! Do NOT simmer the rinds at all… they become chewy & rubbery….. and lose their incredible crunch. Aw, I am so sorry. Yes, only add pork rinds AFTER the peanut butter mixture is done and starting to cool. So quick to make, maybe 5 minutes. I used one 3.5 ounce bar of Lindt 90% (what I had on hand) and about a tablespoon of coconut oil. Also, just crushed the pork rinds in the bag (opened the top) by hand and lightly with a rolling pin, so some pieces were bigger than others. I was worried they would get soggy, but the next morning they were still crispy and crunchy. Tastes really good and have that c-r-u-n-c-h that’s almost always missing with Keto/low-carb! Thank you for another great recipe, Carolyn! Oh, I can’t wait to try these! Do you really use the salt and pepper pork rinds? Yes, those are the ones I used, from Epic. The other flavours might come through too strongly. Has anybody tried the UTZ brand of pork skins? Ingredients are just pork skins and salt. 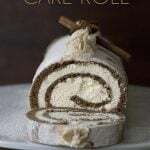 I saw them on another LC blog and they may work on this recipe. No weird flavors to compete with…. They are my favorite! They are cheap on Amazon Prime, and they don’t have ANY funky porkiness. Plus, they are not overly salty. LOVE THEM! And I am using the big clear barrel with lid for organizing kitchen/household things in my basement. Win-win! Carolyn- I HATE pork rinds- have tried to eat them, trying to tell myself “they’re just like potato chips”. Uh, no. So I tried and failed to buy the Epic brand for this recipe, but 2 WF were out of stock. I bought the cheapest bag of pork rinds at Vons and kept my expectations low. I smiled when the pork rinds “snap-crackled-popped” like Rice Chrispys when added to the mix. Well… the result is unbelievable! The pan has not yet made it into the refrigerator as I have eaten two servings warm from the pan without chocolate. My sister tells me “ok wait til you add the chocolate”. Carolyn you gave us yet another winner! Many thanks. One request…. add a serious post about portion control–this ones a killer. Yay! Thanks for the lovely feedback. As far as a source for GREAT pork rinds is of course, Amazon! They carry Lowry’s brand in plain(salted) and spicy. They are like microwave popcorn, come in a similar bag you put in the mico for about 75 or so seconds,depends on how strong your micro is. 75 seconds later you have a bag full of fresh, hot, crispy delicious rinds! They sell them in a box of I think 18 bags for less than $20, and if you have Prime, ships free. Even if you think you do not like rinds, try these. After discovering these, precooked rinds, like Epic taste stale to me. These are AMAZING!!!! Thank you so much for all the FABULOUS recipes, Carolyn! I will be making these. I have used crushed pork rinds in other things and you can’t taste them. They become more like a crispy filler than anything. I am making her thin mints right now but these will be next! I am dairy free, could I substitute coconut oil for the butter 1:1? Maybe a little extra salt too? I detest coconut. Will it make a big difference if I leave it out? Is there something else I can substitute for it instead? More pork rinds OR sliced almonds. 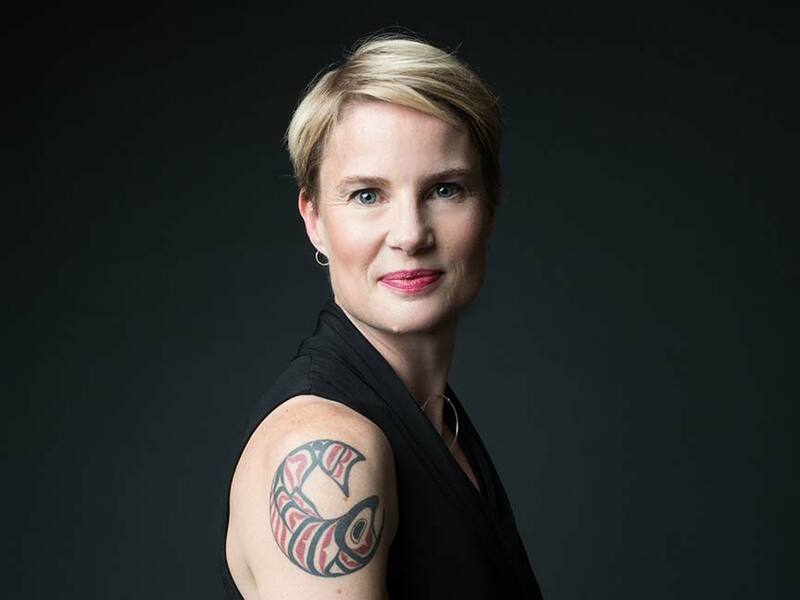 Carolyn, once again your genius shines! I made these a few nights ago and they are incredible! I am not a big pork rind fan (except for plain, every once in a while when I’m craving something crispy/salty), but I simply cannot tell these are not rice krispies in the recipe! SO delish! And quick! I didn’t have either of the extracts, so just went without. And I didn’t have enough pork rinds to make 4 cups, so halved the recipe and made it in a loaf pan. They were super easy and just terrific. 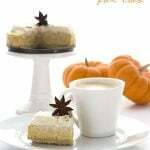 Will definitely make again, and my hubs wants me to try a white chocolate topping… Thank you! I see many recipes with Lily’s chocolate or Chocoperfection. We’ve been on keto 6-7 weeks, but haven’t ventured into the chocolate world yet. I’m not a chocolate expert to begin with. Keto chocolate is expensive and I just want to make a few recipes here and there. Is there anyway to attain good results with cocoa powder or baking chocolate? 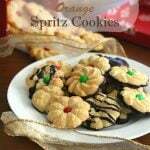 REALLY wanting to make these for a get together Saturday. You can try baking chocolate but adding your own sweetener will inevitably make it a bit gritty. Still delicious, though! I add some liquid stevia to unsweetened chocolate and it works for me. Carolyn has a great recipe for making your own chocolate chips! 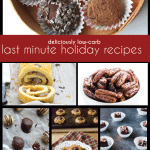 You are a low carb treat goddess!! I was super skeptical because I don’t like pork rinds, but these are incredible!! Thank you!! I tried this recipe today for the first time. I got my pork rinds at Aldi just pork and salt. My girlfriend tried these, she is not on Keto and didn’t know what was in them. The recipe fooled her she said they just like the real thing and has been eating them all day. Thanks for the awesome recipe! Since I’ve been baking low carb for a couple years now, my family is pretty accustomed to your yummy treats…but it was pretty unanimous in our household, as far as a simple treat, this one wins hands down! Big hit! You are, quite simply, a GENIUS. I never would have thought of this. These are amazing!!! I had my husband crush the pork rinds (I did not accept anything larger than a rice krispie). I seriously do not enjoy pork rinds but I knew hubs would take care of these if they didn’t work for me. I agree with the previous posts: I can not distinguish between the crushed pork rinds and RK’s. Try the recipe, people. Brilliant! Using pork rinds instead if Rice Krispies gave me an idea! 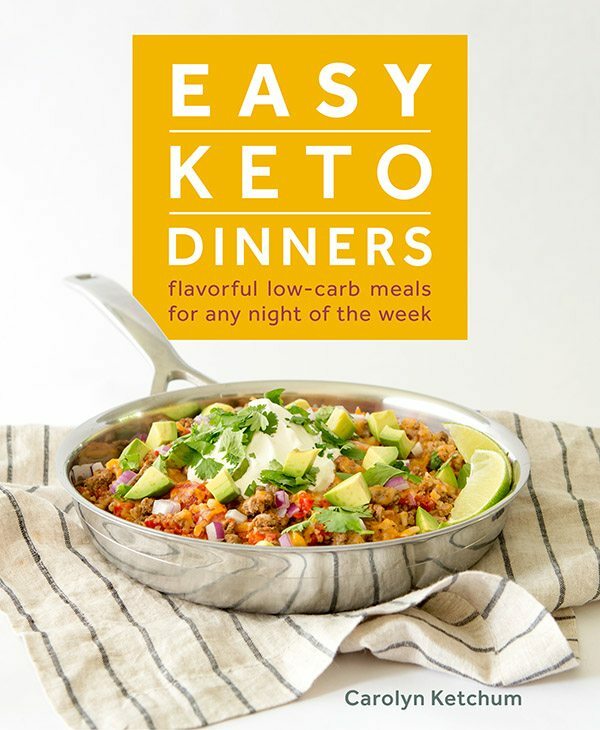 Okay, since you are a genius at making formerly unhealthy carb recipes into amazing low Carb recipes, would you mind taking a look at this recipe and helping me make it low Carb? It was my family and I’s absolutele favorite recipe in our “unhealthy ” days. The two ingredients I’m not sure how to replace are the corn syrup (haven’t tried yacon syrup-maybe that’s an option?) and the vanilla pudding mix (I guess I could use sugar-free pudding, but hoping there’s a healthier low-carb/sugar-free way to do it). 1. Melt (either in microwave or stovetop) brown sugar, 2 c. peanut butter, corn syrup and half of the pkg. of pudding mix. 3. Spread in large bar pan. Cool. 4. Beat butter, powdered sugar, milk and other half of pudding mix. Spread on rice krispies. 5. Melt chocolate chips and 1 c. peanut butter. Spread on top. Refrigerate. Holly, I think this would be super easy to low-carb! 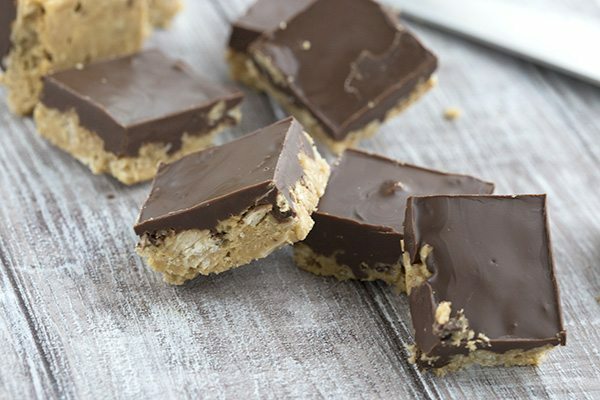 Use the peanut-butter crunch layer from this Scotcheroo recipe. 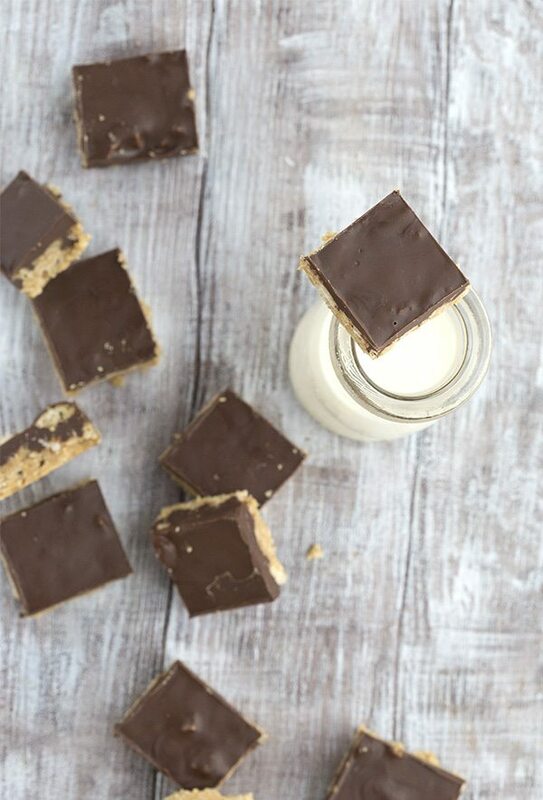 Use the vanilla custard layer from Carolyn’s Nanaimo recipe https://alldayidreamaboutfood.com/2016/06/best-low-carb-nanaimo-bar-recipe.html, and make the chocolate topping from your original recipe using Lilly’s choc chips and peanut butter. You should get a pretty close approximation if I read the recipe correctly. Good luck! Carolyn, these are so delicious they were ALL I wanted to eat. Next time I will have to do a half batch in a bread pan. Do you think they would freeze well? I truly struggled with portion control (oh, well, no control.) Thx. I was also hesitant because of the pork rinds and because I needed to sub some ingredients. I used coconut oil instead of butter and cashew butter instead of peanut butter. I’m dairy free and no peanuts. I made a half recipe in a bread plan. That was a mistake!! These were great in spite of the substitutions. How have you crushed the pork rinds? And how small? I just smashed in the bag and it was hard to get uniform. I wanted to whirl them in my vitamix, but didn’t want powder and the Epic were expensive but worth it. Wish they had a plain version without the pepper. You don’t want them too small. Mine were uneven too but I liked it that way. I have made these twice this week — we generally have 5 – 7 people in our home, eating meals (all but two are adults). Anyhoo, when I cut these fabulous treats, they tend to crumble a bit more than I would like them to. Suggestions? A little more peanut butter and/or butter might help. For those who can’t stand the smell of pork rinds, store them in the freezer. They take that gross smell away. If you can grind your Natvia so it’s a little more fine, it should be okay. Wow. These are soooooo good. Made them last night and ate more than I should have. The kids liked them too. They’re like a Butterscotch rice krispies treat covered in chocolate! I feel silly for asking but what’s the best way to crush the pork rinds? It sounds really messy. In a big bowl, with your hands? In a ziplock baggie and a rolling pin? Ziploc baggie and rolling pin or even the palm of your hand works best. These are a definite danger in our house! While scotcharoos they are not, they are not chewy since no corn syrup, they are a GIANT WATCHAMACALIT! One bite and everyone at the same time said “WATCHAMACALIT!” That had to be one of the best candy bars around. Thank you so much for this! I think… LOL! To all the naysayers…have some faith! Do you really think Carolyn is going to post something gross? If you have trouble with pork rinds being “stinky”, keep shopping. Although I love Aldi, I have to say their pork rinds are a bit “porky” for my taste. The best brand I’ve found, overall, for lack of porkiness, is UTZ brand and it is a DEAL on Amazon Prime. I even have them on subscribe and save…one big barrel a month, so I am thrilled to find something like this to use them for! My HUGE 18 oz barrel costs just 5.93 on Subscribe and Save! Plus, I figured out that I could use those big clear barrels in my basement for storing kitchen utensils, ribbons, and all sorts of house hold things. Another great brand is Bacon’s Heir, but Utz beats them by a mile on price. Finally…if this hasn’t convinced the naysayers…think of our great-grandparents who made their pie crusts from lard…that’s pork fat! 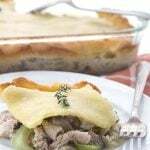 I remember the first time I made a pie crust from lard…I was afraid that it was going to taste porky, but it did not, and it was the best pie crust I ever made. My other question is this…which brand of sugar free chocolate did you use? I’m thinking something like Lily’s? I thought maybe you meant unsweetened, but I see that you didn’t add a sweetener to the chocolate topping. Has anyone tried making these with another nut butter? I’m staying away from legumes and, unfotunately, peanut butter gives me heartburn. You could easily do it with sunflower seed butter. My youngest daughter is allergic to peanuts so we have no peanut products in our house. I’ve made this recipe many times and always use almond butter. It tastes wonderful. Actually, whenever I read a recipe that calls for peanut butter my mind automatically substitutes almond butter as I’m reading. I emailed epic and suggested they make a plain or cinnamon flavor since there are so many recipes coming out using pork rinds. Everyone should! You even get a coupon? I wanted to make another batch of these but am out of Lily’s. I do have Ghirardelli 100% cocoa bars (no sugar) and cocoa powder. If I made the topping with one or both of these, what sweetener should I use. 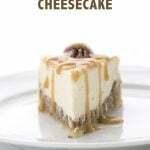 Would Swerve make the topping too stiff? I was wondering if stevia glycerite would be better. Thank you for any guidance!!! Thank you!! I should have thought to search your recipes!! Hi troll friend. Instead of wasting your time belittling people and calling them morons, why don’t you actually spend some time educating yourself on the state of nutrition? You might actually find that things aren’t what they seem and that your pre-conceived notions and prejudices about what other people eat are, in fact, wrong. Or perhaps that’s what you are so afraid of, to discover that you are wrong? That would shake up your world view, wouldn’t it? And your ability to disparage other people, which appears to be a favorite pastime. Sugar substitutes like erythritol are perfectly natural, neither natural peanut butter nor butter contain hydrogenated oils, pork rinds are pure protein, and sugar free chocolate is delicious. While these are indeed gluten-free, they are also good for diabetics, such as myself. And don’t we “morons” who managed to get diabetes deserve a little treat too? Once in a while, surely. It is nice of you to laugh. It just shows you have a great and gracious attitude. My first response, I have to admit, is not as polite. I think we all get a little protective of our wonderful Carolyn! I think this comment points to some important issues when it comes to food… Recipes are only as good as our ingredients and many folks don’t understand true food quality. 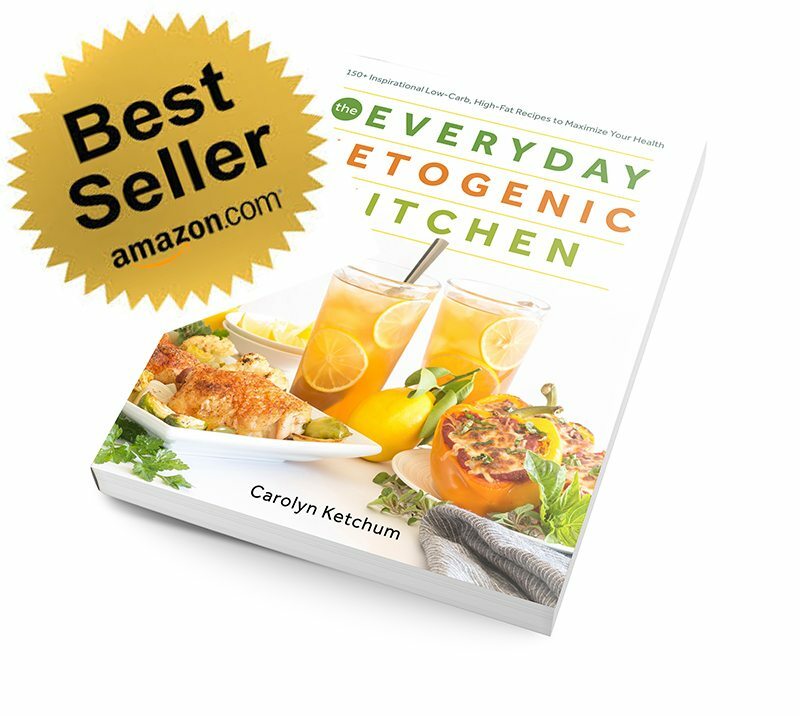 Yes, you could make this recipe with artificial sweeteners and flavors, margarine, peanut butter made with hydrogenated oils, and pork rinds laced with preservatives etc… However, you could also choose the natural alternatives (just follow Carolyn’s wonderful advice!). You’d be making two completely different food products from this recipe. I actually had a doctor – a specialist- tell me to avoid all artificial sweeteners when she heard I used stevia. I couldn’t believe a doctor did not know what stevia was. I also had a dentist tell me that “Stevia and other “health” foods like that, like organic apple juice are still bad for your teeth.” I’m thinking what does stevia have to do with organic apple juice??? I did not dare say the word “erythritol”. I don’t know why there is such a disconnect in knowledge when it comes to what food actually IS and it’s impact on our health. It’s up to us to change things so future generations do not face our struggles. I’m thankful for folks like Carolyn who are informing and educating others about smart food choices – REAL food choices. I know I’m preaching to the choir here – but share the knowledge with people in your own lives, you’ll be giving them the gift of better health. 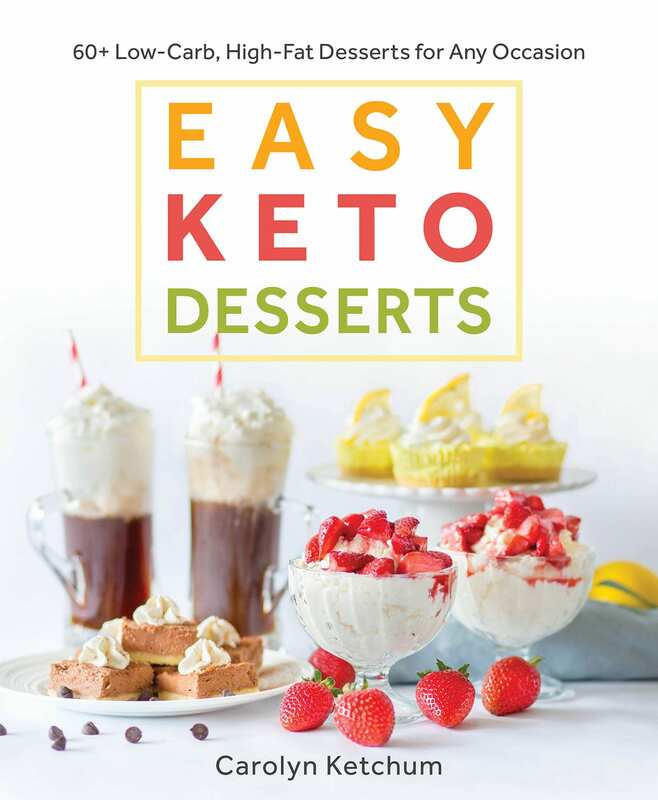 Carolyn I”ve made literally dozens of your recipes over the years and they have set my low carb dessert loving world ablaze! And as a person facing autoimmune disease who cannot have either gluten or sugar, they have been a life saver as well. Now I am not a huge pork rind lover, but I love these! So inventive. I didn’t have peanut butter so I used tahini in mine and it worked really well. Next time on to peanut butter. Thank you so much for your delicious creativity! What Melissa said…. I only came to this recipe to read the mean comment made by someone who hadn’t even made the recipe (nosey like that), and I became curious to see if pork rinds could really be disguised as dessert. 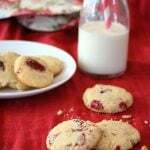 So many reviewers couldn’t be wrong I thought, and with one exception I have loved every recipe I have made from this site. Not surprisingly, these squares are delicious!…5 stars! Now, my thoughts turn to a cracker recipe that I made eons ago, which used rice crispies and Imperial Cheese, and a little cayenne (if memory serves). Carolyn, if you remember this, and try to develop a copycat, I would love to make these again. 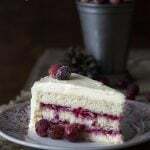 Once again, let me express appreciation for all you do and your generosity in sharing these recipes. So are these bars dry/crispy or somehow the gooey, chewy, goodness that I drop over when I think of with rice crispy bars or scotcheroos? Just checking. Even great flavor isn’t tempting to me if not chewy:). I don’t eat pork for religious & health reasons. Are there any healthy substitutes so that I can still try these and have them turn out right? I can’t think of any truly crispy light low carb puffed item, like pork rinds. You can do some chopped nuts…it won’t be the same and will be higher in carbs so go easy on them! Could I sub the sugar free caramel torani syrup for the extract? I’ve been searching locally for the extracts and can’t find any and I want to make this like yesterday! It might make the chocolate seize so I’d go light on it or skip it altogether. Hands down one of the best keto treats I have made. Thanks! Does the black pepperflavor from the recommended pork rinds not come through in the recipe? I love Epic rinds because they’re SO crunchy and do not get soggy like other cheaper brands…but I’m more worried about the black pepper from these “original” flavored rinds making my scotcharoos taste savory.. ? You can sometimes taste it but honestly…I didn’t have a problem with it at all. I’d prefer to use the healthier pork rinds than the really junky ones. Holy cow! Just made these and am over the moon!! 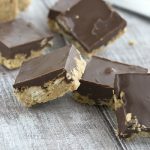 Scotcheroos are one of my favorite holiday treats and you’ve made them low carb. I made a half recipe (a little less than half sweetener) with caramel flavoring. I really felt like I was eating the real thing.. thank you – thank you – thank you! 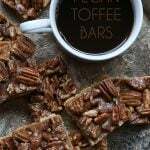 Recently, I had tried a keto scotcheroos recipe that my mom had recommended, and it was absolutely horrible! It was so sickly sweet, so I was a little hesitant to try your recipe, especially with the pork rinds (I don’t like them to start with), but I was more than pleasantly surprised. Both myself and the hubby enjoyed these tasty treats greatly. So, thank you for another wonderful recipe. I’m really stunned to see this isn’t a five-star recipe! Heck, I’d give it 10. I have made this twice and it is positively amazing. Texture is bang on, sweet, salty, crunchy and smooth. Fed these to my husband’s co-workers and they were a HUGE HIT. We never elaborated they had pork rinds and not a single person questioned. Thank you for sharing this positively AMAZING sweet treat! I just had to comment. These were amazing. I’ve been keto for almost 2 years now and these are by far the best dessert I’ve made. I had five pieces the first day I made them (I regret nothing!!). Thank you thank you thank you for your blog and recipes. Have all my ingredients on-hand & planning to make for the kid’s treats (sunbutter sub, peanut allergy). Was excited to see 25 servings but then realized 8×8 pan? Really? My teen boys will laugh at that. I can see 12-16 but how tiny are we talking to yield 25 bars out of an 8×8 pan?? We have an undeniable issue with a sweet tooth in our house … these could be very dangerous! Sorry but when something is this sweet and carby, it needs to be smaller serving sizes. I feel strongly about moderation even with low carb and keto sweets. Ok … made today & I completely understand! Wow … I cut at least 25 using a 9×9 pan. I used sunbutter (peanut allergy) and my 3.5oz bag of pork rinds yielded just 2 cups so I doubled my coconut. Used vanilla – didn’t have the others. Awesome! I’ll be sure to have 2 bags on-hand for next time. My husband & I both noticed the cooling sensation of the Swerve was well-masked. Nice job! A new family favorite!! 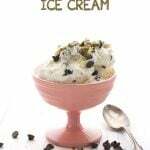 I love this recipe and I’ve made it several times. The first time I have to admit I didn’t wait to put it in the frigde for an hour and added the chocolate right away. I don’t think I even let it set before digging in. It is so good, I could wait. The second time I made it I did let it set before adding the chocolate, but the chocolate just ran down and it didn’t form the nice layered top like yours. I don’t care what I was doing wrong I just love this recipe. Now that I want to make it for friends and family, I want to know what I’m doing wrong. I want that layered look yours has, but I’ve never achieved even when I tried to be patient. Any added tips? Sounds like you have too many “holes” in your mix that the chocolate is sinking into. Maybe crush everything up a bit more? Mine did run down into some holes but most of it stays on top. What chocolate are you using? I press the bottom peanut butter layer into the dish with waxed paper. It makes it solid and I get two distinct layers. I wouldn’t crush the pork rinds more…I’ve done that before and it didn’t have the same amazing texture and mouth feel. These are one of my son’s favorite treats (mine as well). I typically make a half batch for the two of us, and find an 8×4 loaf pan perfect… I cut the batch down the length and then 5 across for a total of 10. Perfect size. Hi Carolyn- love these and make them pretty often. My question is do you cut them when they are cold or at room temperature? I try to cut them after cooling and they break apart and I am left with just a lot of crumbs ( which are great in a bowl with the whipped cream by the way)– just wondering what I might be doing wrong that they tend to crumble when I cut them. Room temp cutting is probably best. That chocolate topping can get kind of hard and yes, it can make them shatter. These are the best keto peanut butter/chocolate treat EVER! Wow!! Thank you!! I didn’t have caramel extract so I subbed maple extract and it worked great! I gave some to my hubby and he would not have guessed it was keto! Thank you again! Best low carb recipe I’ve tried yet. Wonderful, thank you for sharing it. 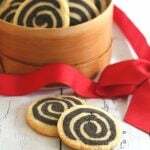 My daughter is so grateful — a version of this was her favorite Christmas cookie, and we have been unable to replicate it. Until now!! (Our version simply puts the chocolate between two layers of peanut butter & pork rinds, made by dividing the bottom layer in half.) Today we tried subbing half of the powdered Swerve with 1/3 c swerve brown sugar (we don’t have butterscotch flavoring and it’s not the kind of thing I’d ever think to look for, since this is the only use I’d have for it). SOOOOO good! The only problem was that it seemed to make the pb layers a little too crumbly. Any suggestions? We’ve thought of maybe xanthan gum or collagen powder, or maybe changing the brown/white proportions a little. (I suppose it’s also possible we over-ground the pork rinds and used too much. If that’s the case, all we’d need to do is either grind/measure more carefully, or maybe up the pb layer ingredients.) We will DEFINITELY be making this again!! so if we figure anything out, we’ll let you know! PS–you are definitely our “Christmas Cookie Headquarters.” Thank you so much for all your talent and hard work, so no one in our family need feel deprived over the holidays. Every recipe a winner. I remain your biggest fan!! These taste amazing! I’m wondering where you find your pork rinds? It took me 7 ounces to get 4 cups of crushed rinds, and some of my local THM friends report the same. That seems like a big discrepancy so we’re wondering if we’re missing something 🙂 Love this recipe, so delicious. I think you must be crushing them too much. You want them not to be finely crushed but to have bigger bits.. kind of like Rice Crispies, since that’s what they are replacing. I just buy the bag from 4505 Meats, at Whole Foods.